The SR20 is the most powerful amplifier in the Topaz range offering an immense 100 watts per channel, backed by a dedicated subwoofer output as well as two sets of speaker outputs. 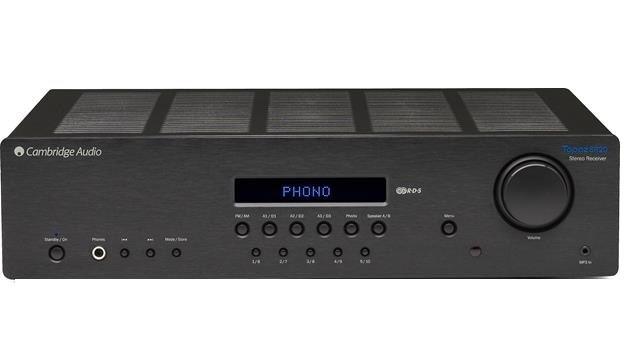 It also features analogue inputs, digital inputs, a phono stage, an FM receiver and an MP3 input, so it will connect and play virtually anything you throw at it. continuing the comprehensive specification and attention to detail, the SR20 features a built-in MM Phono stage, bringing your vinyl to life! Turntables fitted with phono cartridges of either the Moving Magnet or high output Moving Coil type can be used. The Cambridge Audio Topaz Stereo SR20 Amplifier was added to the Amplifiers & Receivers category in November 2017. The lowest price GetPrice has found for the Cambridge Audio Topaz Stereo SR20 Amplifier in Australia is $749.00 from NAPF Electronics. Other merchants who stock it are NAPF Electronics, Video Pro.